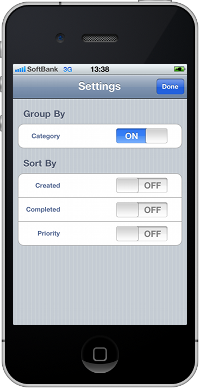 iCalToDo is a standalone application to management your to-do list locally. iCalToDo supports iCalendar specification, then you can export your todo-list into other applications which supports the to-do list of iCalendar specification such as iCal and Thunderbird. 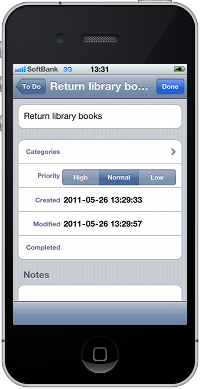 iCalToDo stores the to-do list into a file, MyToDo.ical, as iCalendar format into the application document directory to export for other iCalendar applications such as iCal and Thunderbird, please check iPad: About File Sharing to export the file using the sharing function in more detail. 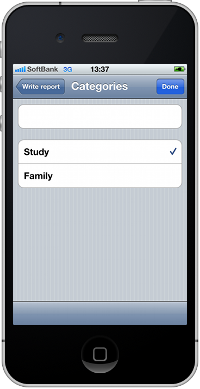 iCalToDo is based on iCal for ObjC which is a Objective-C framework iCalendar specification. Please check this page, iCal for ObjC , if you have interested in the development using iCalendar on iPhone, iOS and MacOSX platform.